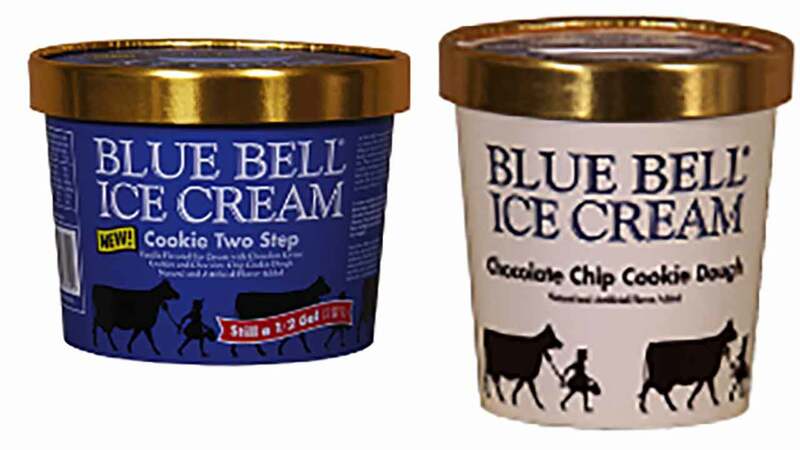 HOUSTON -- A supplier of cookie dough that Blue Bell Creameries blamed for a possible listeria contamination of some of its ice cream products said Thursday that its product tested negative for the pathogen before it was sent to the Texas-based company. Blue Bell announced Wednesday it was recalling select flavors of ice cream distributed across the South and made at its Sylacauga, Alabama, plant after finding chocolate chip cookie dough from a third-party supplier - Iowa-based Aspen Hills Inc. - that was potentially contaminated with listeria. Blue Bell halted sales, issued a voluntarily recall of all its products in April 2015 and shut down its three plants due to bacteria contamination that was linked to 10 listeria cases in four states, including three deaths in Kansas. The company, headquartered in Brenham, about 70 miles outside Houston, resumed selling its products about four months later. Before resuming production, the company said it had implemented new cleaning and sanitizing procedures at its facilities, as well as new testing programs and new employee training. Blue Bell Ice Cream has issued a voluntary recall for its ice cream containing chocolate chip cookie dough pieces due to the potential for Listeria. The iconic ice cream brand is beloved in Texas, where people impatiently awaited its return to store shelves after the recall. No illnesses have been reported from the latest recall of ice cream distributed in Alabama, Florida, Georgia, Kentucky, Louisiana, Mississippi, North and South Carolina, Tennessee and Virginia, Blue Bell said. Blue Bell said on Thursday in an email to The Associated Press that it found listeria contamination in packages of cookie dough ingredient received from Aspen Hills. But a statement from Aspen Hills said its cookie dough product tested negative for listeria before it was shipped to Blue Bell and that the "positive listeria results were obtained by Blue Bell only after our product had been in their control for almost two months." Aspen Hills said that Blue Bell is the only customer who received the cookie dough product "included in our voluntary recall." Blue Bell has been a customer of Aspen Hills since January. Following the recall last year, Blue Bell signed agreements with health officials in Alabama, Oklahoma and Texas - the three states where its plants are located. The agreements require the company to inform the states whenever there is a positive test result for listeria in its products or ingredients. 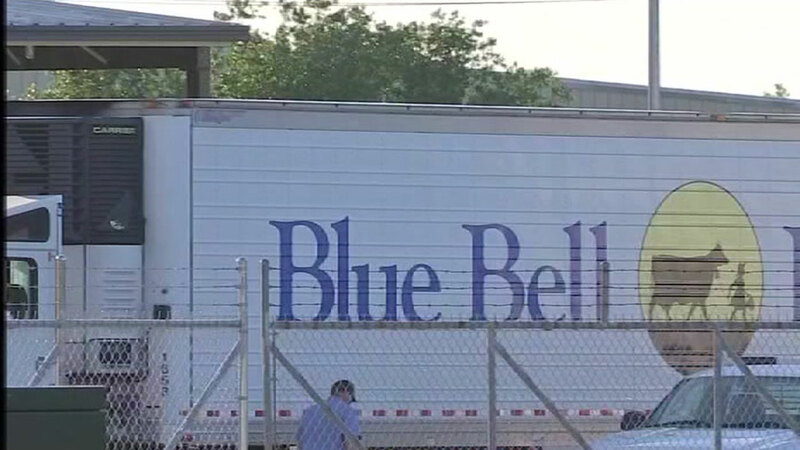 Officials in those three states have also conducted additional visits of Blue Bell's plants as well as done their own tests of product samples. Since then, inspections have been less frequent in Alabama - the location of the plant where the latest contamination was found - than in Oklahoma and Texas, according to information from the three state governments. Alabama tested ice cream products quarterly from Blue Bell's plant in Sylacauga, Alabama, and has not found any problems with listeria, said Ron Dawsey, deputy director of the Bureau of Environmental Services with the Alabama Department of Public Health. "It appears at this point the issue was with the supplier," Dawsey said. An inspector visits Blue Bell's plant in Broken Arrow, Oklahoma, monthly, according to Stan Stromberg, director of the food safety division for the Oklahoma Department of Agriculture, Food and Forestry. Since Blue Bell resumed production in November, inspectors with the Texas Department of State Health Services have visited the Brenham, Texas, plant more than 50 times, conducted 22 routine inspections and 22 equipment tests and were on-site 17 additional times for other reasons such as reviewing records, evaluating trainings and collecting samples, said agency spokeswoman Christine Mann. Listeria is a "hearty" organism that can enter a food supply chain in different areas, said Dr. David Greenberg, an associate professor of infectious disease and microbiology at UT Southwestern Medical Center in Dallas. Steven Kronenberg, a San Francisco-based attorney who has worked on lawsuits related to food safety issues and recalls, applauded Blue Bell for quickly issuing a recall. "It's difficult to say what else Blue Bell and the regulatory authorities should be doing. It sounds like they have been on top of it to the extent that they can," he said.